Vivo has had an interesting year. From the Apex concept to the Vivo NEX, and then the Vivo NEX Dual Display, the company has surprised us with its ability to innovate and offer something different. Like them or not, the pop-up camera and rear display unit definitely added some much-needed pizzaz to the phones’ otherwise me-too designs. Enter the Vivo V15 Pro, a device that takes a lot of inspiration from higher-end devices and brings it to a more mainstream price point. The Vivo V15 Pro looks really damn good. There, I said it. That massive screen at the front offers an expansive viewing field that is as close to the concept of all-screen devices as we’ve gotten to so far. This is not a small phone, but the gently curved edges and back make it very comfortable to hold. Vivo did a really good job with weight distribution, and the phone nestles very easily in the palm of your hand. The power button, on the other hand, was easy to reach and had sufficient give, though I wouldn’t mind a “clickier” button. There’s a direct shortcut for Google Assistant on the left side of the phone. Double clicking the button activates Google Lens or Vivo’s own Jovi image recognition. The selfie camera on the Vivo V15 Pro pops out in under half a second. It’s fast enough. Located at the top right corner, the camera pops out for face recognition or if you are taking selfies in the camera app. It works just fine even in Instagram. The pop-up selfie camera on the Vivo V15 Pro is the reason why you have that expansive uninterrupted screen. The bezel at the top is 2.2mm while the chin at the bottom is a bit thicker. 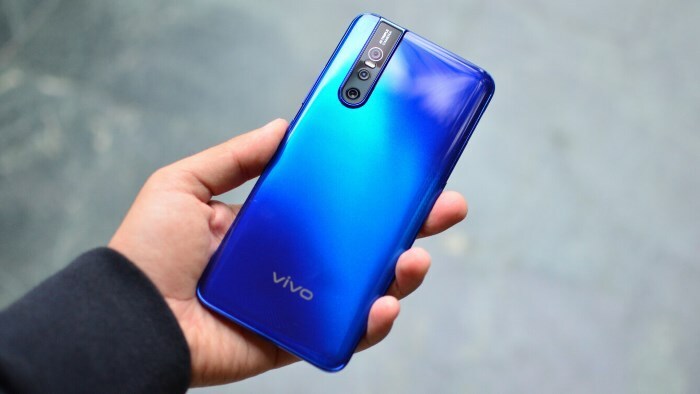 I really wish Vivo had opted for similar dimensions on both ends for the sake of symmetry. The Vivo V15 Pro has three different rear camera modules. There’s a 5MP depth-sensing camera, an 8MP wide-angle sensor and most interestingly, a 48MP primary camera. The primary camera has a Sony sensor that combines four adjoining pixels to improve sensitivity. While you can shoot full resolution, 48MP, shots from the camera, it works best when pixel-binned to 12MP. Dull and gray Delhi does not make the ideal spot for testing out cameras, however, the Vivo V15 Pro did a very decent job at evenly lighting up the foreground, despite a hazy sun shining straight at the camera. Generally, images from the primary camera look pretty good. Pixel peeping reveals the heavy noise reduction in play — grass, in particular, gets reduced to green splotches. The phone will suffice if all you do is share images on social media. Vivo made a big deal out of the 32-megapixel selfie camera on the V15 Pro. I’m not entirely sure who would ever need such a high-resolution image from the front camera but hey, it’s there. Image quality is alright. This is certainly no Google Pixel, but the Vivo V15 Pro can make you look good on camera. The Snapdragon 675 processor on the Vivo V15 Pro is an interesting beast. Technically, it ranks below the Snapdragon 710, but everyday performance was generally on par. 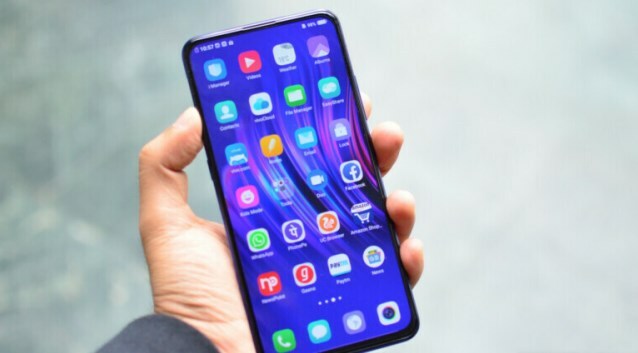 Navigating through the interface and jumping between apps on my Vivo V15 Pro review unit was usually very smooth. I was pleasantly surprised by how well the phone did with gaming. With graphics set to high on PUBG Mobile, the phone maintained a solid framerate and the gameplay experience was very enjoyable. Guns of Boom, another online PvP shooter looked and played really well on the V15 Pro. Powering the Vivo V15 Pro is a 3,700mAh battery. It isn’t quite as good as the 4,000mAh batteries on certain competitors but usually manages to last a full day. I found the battery life varied quite drastically with what I used the phone for. On an average day, with a few hours of social media, web browsing and calls, the phone would still have a bit of juice left over to go on till the next morning. The Vivo V15 Pro pairs the Snapdragon 675 chipset with 6 or 8GB of RAM depending on the variant. In India, only the 6GB version of the phone will be available. Storage is capped at 128GB on both versions though you can expand storage using a microSD card in case you need more. About 110GB of free storage is available at first boot. The phone supports dual nano-SIM card slots. Network performance was quite decent. It might have a bit of trouble in low network areas but phone calls generally sounded loud and crisp at both ends. NFC support is restricted to limited markets like Russia, Hong Kong, Singapore and Taiwan. I have a love-hate relationship with Vivo devices. I love what it does with the hardware, but not so much the software. The interface picks up elements from all over iOS, but doesn’t quite have the soul of what makes the iPhone’s operating system endearing. The Vivo V15 Pro runs Funtouch OS 9 on top of Android Pie. To start with, there is no app drawer so to speak. All the app icons are on the home screen. There is no option to change this in the settings. The notifications shade and quick toggles have also been split between two separate panes. Like iOS, the notifications shade can be pulled down from the top while the quick toggles are pulled from the bottom left corner. This is a complete departure from how things work on stock Android.The phone would also force close apps or drop off network connectivity in the middle of a download if the screen was turned off. This aggressive app management might result in better battery life, but it also ruins the otherwise pretty decent user experience. It can and should be fixed by Vivo with a software update. Vivo V15 Pro price will range from $350 -$400 which is approximately up to 143k in Nigeria currency.